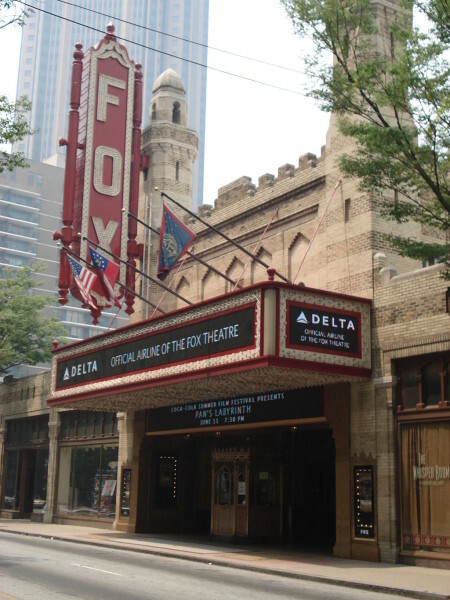 Nestled in midtown Atlanta, the Fox Theatre proves itself a historic gem. With the theatre’s rich history and extravagant, unique design, it’s sure to be a delight. Initially designed as an Arabic-style temple for the Shriners organization, the Fox Theatre is now a flourishing center for performing arts, with over 300 performances gracing its stage each year. In the 1920s, the Shriners decided to build an opulent mosque-like temple for the organization’s new headquarters; unfortunately, the cost to build the structure was more than they could afford. Seeking financial assistance, the Shriners struck a deal with William Fox, president of the Fox Theatre Corporation and the Fox Film Corporation. The deal required Fox to lease the large auditorium in the Shriners’ new temple. William Fox had been opening movie “palaces” throughout the nation and with the fanciful architecture of the structure, he took advantage of the opportunity. Opening its doors at the beginning of the Great Depression, the Fox Theatre faced immediate financial hardship and was forced to declare bankruptcy less than 3 years later. For most of the 1930s the Fox Theatre, commonly referred to as the Fox, did what it could to get by. Fortunately, in the latter half of the decade the theatre’s management changed hands and breathed new life into the establishment. As part of the aggressive initiative to get Fox back on sound footing, the theatre publicly opened another room within the temple. Equally as ornate as the theatre auditorium, the Egyptian Ballroom became a central hub for city functions, dances, and social affairs. Marketing itself as more than a theatre, Fabulous Fox quickly became a premiere movie house. By the mid-1940s, the Fox had garnered national attention as the theatre of choice for Walt Disney’s world premiere of Song of the South, to which Walt Disney himself even attended. The movie business experienced a golden age from the 1940s through the 1960s, and Fox Theatre was at the top. By the early 1970s, the era of movie palaces had drawn to an end. With the popularity of television, prevalence of suburban flight, and changing film industry, ticket sales at the Fox began to plummet and the theatre was placed in danger once again. The Fox needed to reinvent itself or prepare to close its doors for good. In 1976, Fabulous Fox was re-launched as a multi-purpose performing arts center and has since been thriving as such. Maintaining the original artistic flair of the temple, visitors to the Fox are able to step back in time and experience the glamour and glitz of the roaring 20s while being entertained by accomplished performers. Today, guests of the Fox not only come for the entertaining showcases and social events held in the theatre’s ballrooms, they also come for the family-friendly, informational tour. 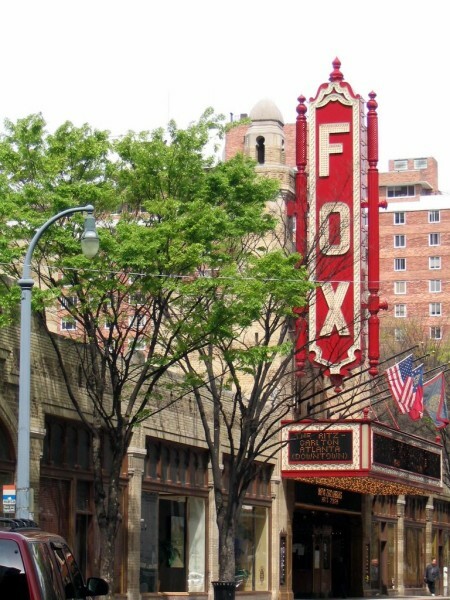 The tour at the Fox Theatre provides visitors with an intimate, 60 minute walk-through of over 10 locations within the building. Guests are able to learn fun facts about the theatre’s history while walking the same halls as Elvis, The Rolling Stones, and Madonna. Whether one’s looking for a dazzling entertainment piece or to simply enjoy the building’s alluring architecture and design, this designated National Historic Landmark is a definite crowd pleaser. For a tour of the Fox Theatre in Atlanta go to www.foxtheatre.org.